It is not hard to get out of difficult situations and to make improvements when you know exactly what to do. Read the following garage door tips which are provided in this section carefully and follow them closely to achieve your goals. With the right guidance, advice and assistance, everything will be just fine. Garage Door Repair Garden Grove generally suggests using a slightly complicated garage door code combination. However, make sure that it is also easy to remember, and if possible, personal. 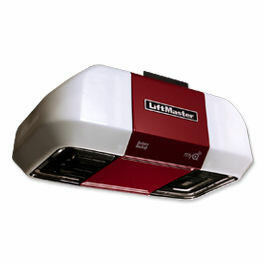 If you need to write it down for easy reference, make sure to keep it in a safe location. 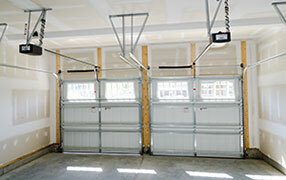 Garage doors with the rolling code technology are most often easier to maintain. It is important to know what preventative measures are applicable for your garage door. For instance, you certainly would want to make sure that your door and its components are well oiled. This should also be done periodically in order to make sure that you do not face further issues involving the function of your garage door. Chains and hinges may be damaged and worn through time. Therefore, as recommended by experts at Garage Door Repair Garden Grove, it is vital to check each part to see if replacement is needed. Maintenance is not really possible for these parts. What is commonly required is replacement of the entire part when needed. When planning for a travel, even for just a few days, Garage Door Repair Garden Grove strongly suggests that homeowners unplug the garage door openers accordingly to avoid possible electrical malfunction. In most cases, a so-called vacation lock console security switch may be used for maximum safety reasons. This will also cause the remotes to be practically useless for the time being. Worn out pulleys is one of the biggest causes of dysfunction. There will be four in total with a pair on either side of the frame. A couple will be attached to the springs which must be taken off the pulleys for checking. Naturally, all types of garage doors require even just a little bit of maintenance so that they do not wear down right away. However, exercise caution when attempting maintenance on an electric garage door. There are plenty of moving parts which are now more dangerous to handle due to the electricity. Check if there are loose nuts. You can fix it by tightening all the tracks and brackets. If the rollers are already worn out, it must be replaced by a new one. Better choose nylon rollers because it is quieter compared to metal rollers. You must also check the hinges and replace it if it does not work right. Our experts in garage door repair Garden Grove suggests that the opener button is mounted at least five feet above the floor. This helps ensure that the button is out of reach of young children who may toy around with the system and put others and themselves in danger. While it is good to inspect the door on your own, a professional opinion is always better. 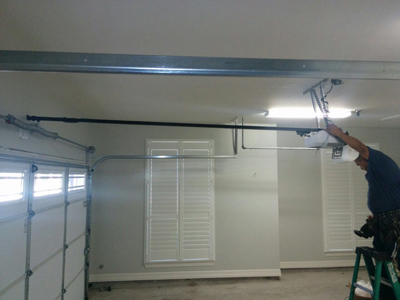 In case someone backed into the door, our specialists at Garage Door Repair Garden Grove recommend that you allow our trained service technician to take a look at the garage door. Even if the door appears fine, the system may be damaged or misaligned.